City Publications knows that your potential customers aren’t just the people visiting your brick-and-mortar locations or calling you on the phone. They are also online, looking for the best products, services, and offers and are ready to make a purchase. That’s why our marketing strategy meets customers wherever they are with an approach that includes both print and digital marketing solutions. 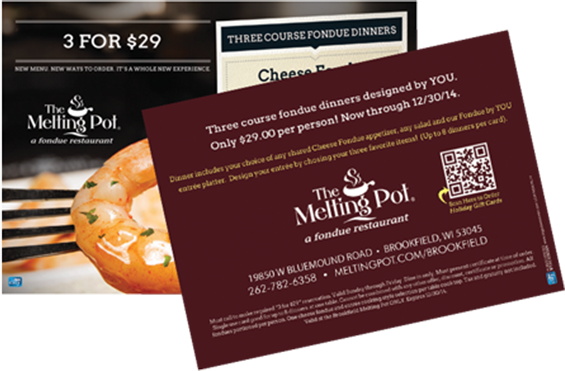 Our advertisers benefit from multiple digital ad formats that complement our direct mail postcards. City Publications San Francisco Peninsula helps your potential customers connect with your business via email marketing, online website listings, search engine optimization, and unique QR codes. Our email marketing campaigns attract new customers, retain current business, develop your brand identity, and drive traffic to your website. With scheduled email campaigns notifying your potential consumers of upcoming postcard deliveries, we make sure households in our delivery area never miss an offer. We believe email marketing is the most effective way to quickly raise awareness of your businesses’ special offers and seasonal events. Each campaign is custom designed by our creative team and will reach tens of thousands of consumers in your target area, connecting your offline ad experience to your digital presence. While email marketing, online business listings, and search engine optimization increase the visibility of your ads both on and offline, our unique QR Codes create the final link between new customers and your business. City Publishing prints a unique QR Code on your direct mail post card to link potential customers to your information quickly and effortlessly. Scan. Click. Learn. In three quick steps, customers can engage with your print advertising and immediately learn more about your business online with their own mobile devices. 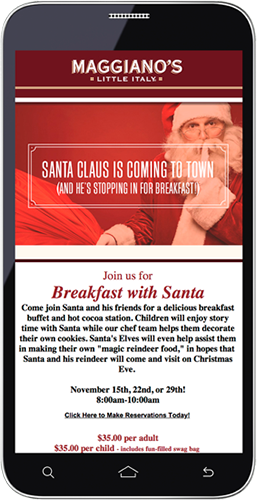 City Publishing is leveraging the latest in smartphone technology, including pre-programmed apps to identify QR Codes, to create another channel of communication between you and your potential customers. Through consumer use, we’ve found that customers keep postcards well after they hit mailboxes because they interact with our QR Codes months after delivery, increasing the shelf life of your advertising efforts. Check it out for yourself – use your smartphone to scan the QR Code on your advertisement and see what happens. City Publications San Francisco Peninsula is locally owned and operated, providing business clients with local market knowledge and a unique connection to the affluent local consumer. City Publications San Francisco Peninsula is your leading local provider in dozens of deal categories for direct mail, lead generation and targeted marketing opportunities.